Dr. James Okamoto practices family medicine at Ka Wai Ola Family Medical Clinic in Waipahu, Hawaii, where you’ll find all the services you need to keep your heart healthy. In addition to complete medical support and lifestyle management, Dr. Okamoto offers innovative blood testing from Boston Diagnostics that assesses your risk for cardiovascular disease and provides information for personalized treatment. 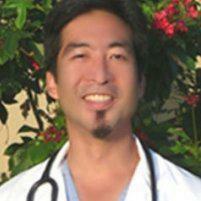 How can Dr. Okamoto support your heart health? Heart disease is still the top cause of death in men and women, yet it’s often preventable by changing health issues that affect your risk, like lowering blood pressure and losing weight. You’ve probably heard those statements before — maybe you even know you need to make some changes to improve your heart health — but reaching the goal is hard. That’s where Dr. Okamoto makes a difference. Along with top-notch health care and medication when appropriate, he supports your heart health with in-office programs that can help with ongoing struggles like weight management or getting cholesterol under control. And he doesn’t stop there. He also provides personalized blood testing from Boston Heart Diagnostics. High-density Lipoprotein (HDL) Map: A standard lab test gives the blood level of total HDL, known as good cholesterol. But there are different types of HDL that affect your risk for heart disease in different ways. For example, low levels of one type predict your risk better than others. The Boston Heart HDL Map is the only test currently available that tells the amount of five different types of HDL in your bloodstream, which gives Dr. Okamoto a better understanding of your heart health and how to improve it. Boston Heart Cholesterol Balance: Everyone metabolizes cholesterol differently. Some people produce more cholesterol than their bodies absorb; others absorb more than they produce. How you metabolize cholesterol determines the best medication to use for lowering your total cholesterol and reducing low-density lipoproteins, or bad cholesterol. Boston Diagnostics is currently the only commercial lab that tests blood markers showing an individual’s cholesterol synthesis and absorption. How does Boston Diagnostics help with lifestyle changes? After running all your blood tests, and producing reports designed for non-medical people to understand, Boston Diagnostics goes one step further — they develop a personalized Nutrition and Life Plan that outlines steps you can take to improve your heart health. Based on your blood test results, your health history, and your personal food preferences, they create an action plan to lower your risk for heart disease. Your plan will include calorie goals, a menu with recipes, and an exercise plan. They also have online support where you have access to a registered dietitian, food and activity trackers, and educational articles.